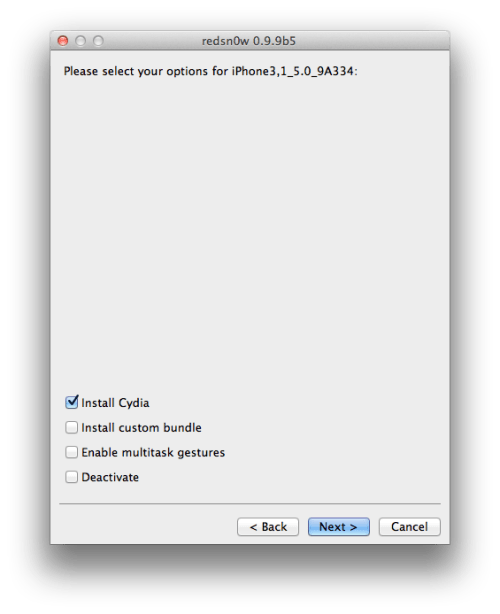 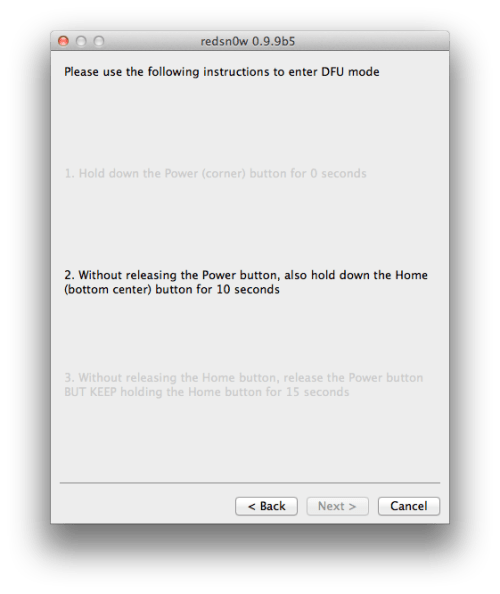 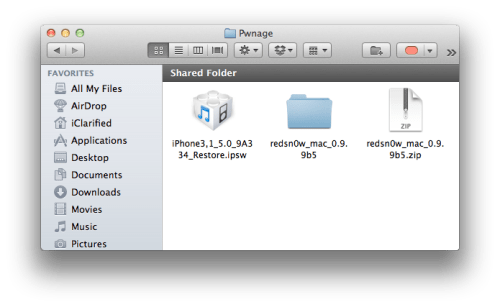 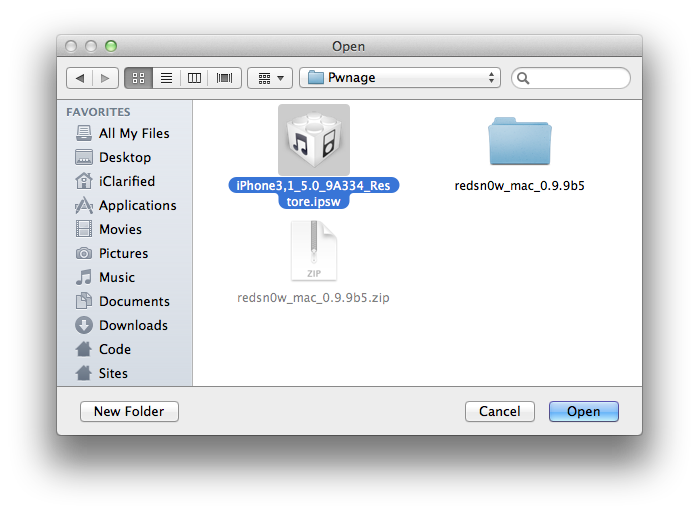 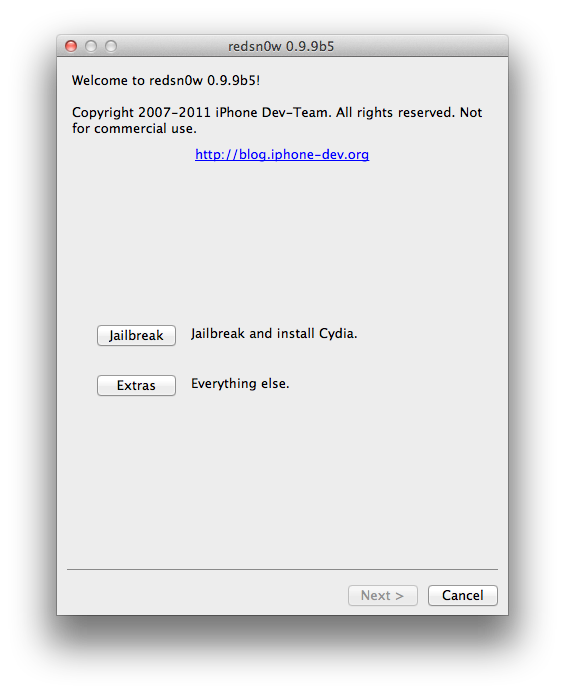 These are instructions on how to jailbreak your iPhone 4 on the 5.0 firmware using RedSn0w for Mac. This procedure will cause you to upgrade your baseband potentially ruining your chances for an unlock. Please wait until we have posted a tutorial on how to update to iOS 5 using a custom ipsw if you need an unlock. 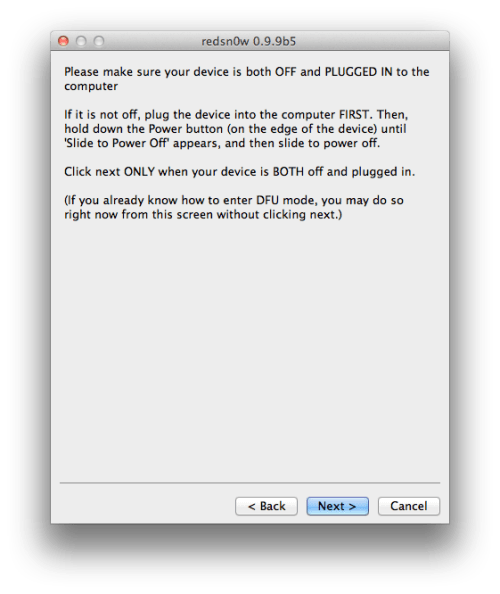 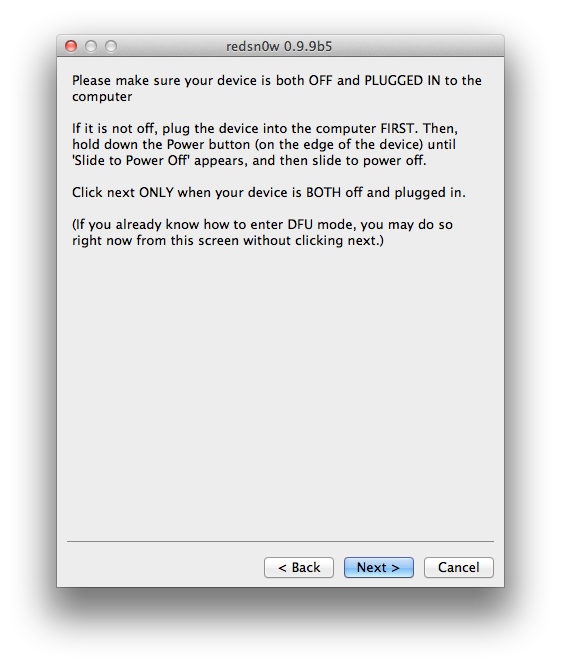 The jailbreak is also tethered which means you will need to connect your device to the computer each time you reboot. Finally, it may be prudent to save your SHSH Blobs by following this tutorial before continuing. Select your iPhone from the list of devices on the left. Now hold down Option and click theRestore button. Restore is preferred as it won't create any wasted space on your iPhone.